A young model who tried to smuggle heroin worth around £1.1 million into Ireland has been jailed for more than eight years. 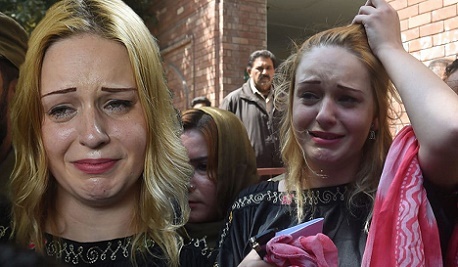 Tereza Hluskova, 22, broke down in tears as the judge sentenced her. Photos and clips posted on social media show Hluskova wiping away tears at Lahore Sessions Court in Pakistan. 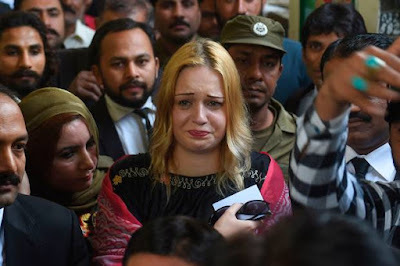 The Czech model was caught with a reported 19.8lb (9kg) of the drug in her luggage at Islamabad International Airport, Dawn.com says, as she tried to head to Ireland via the United Arab Emirates. Yesterday, a judge condemned the offence and locked Hluskova up for eight years and eight months. She was on a three-month family visa at the time of her arrest.